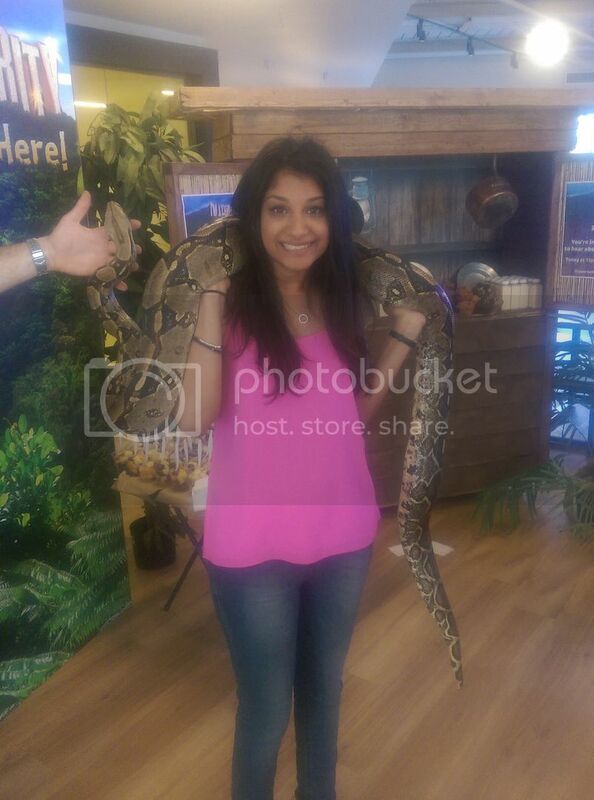 This wasn't really an outfit I wasn't going to share, but then I got a hot new accessory for it. 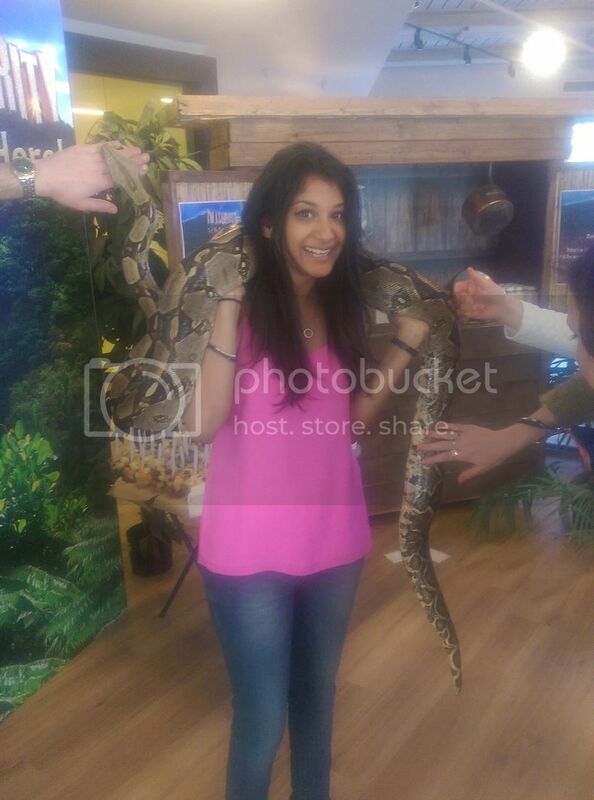 While you won't see me wearing actual snakeskin, or any other real animal skin, I definitely couldn't resist putting an actual snake round my neck. I really love the colour of the top. I don't tend to wear such bright colours but I really enjoyed it. I'm definitely going to pair more bright colours with my standard basics. 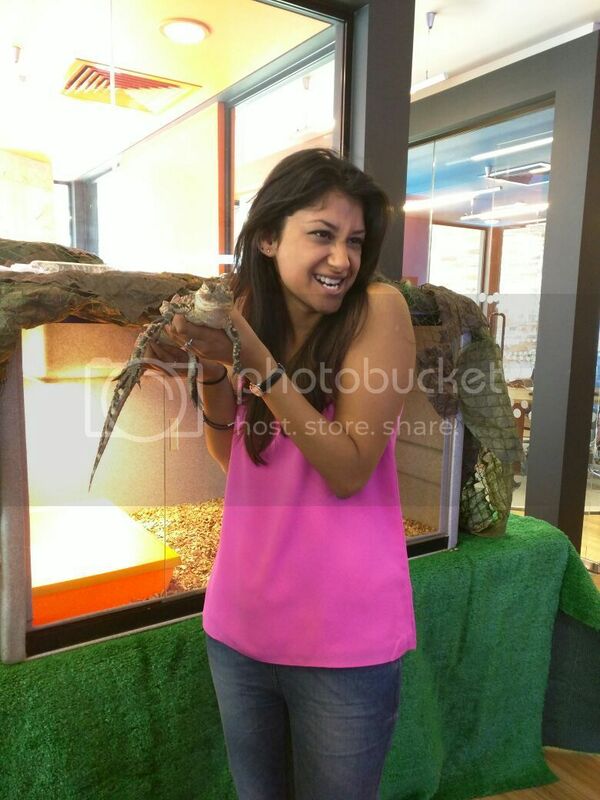 We had some reptiles come into the office a few weeks ago and being around them was fun and definitely an experience. 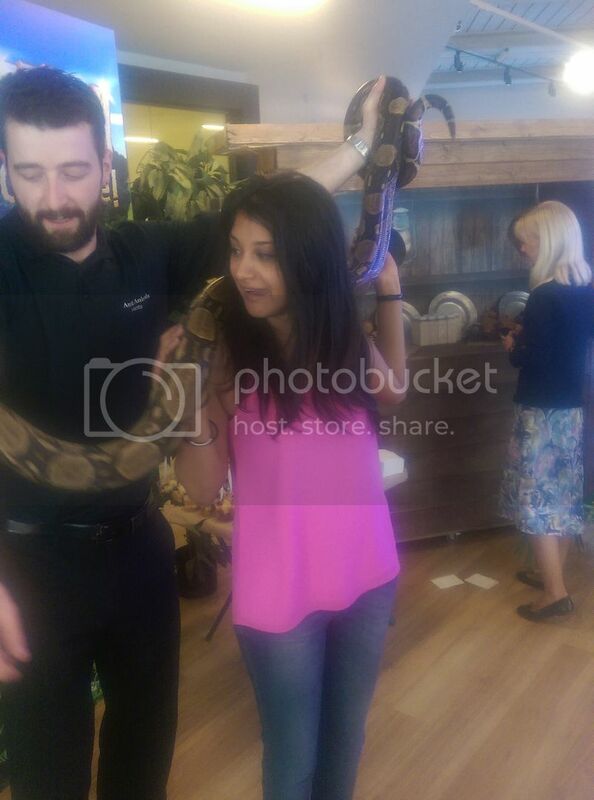 As you can see from my face, I was a bit terrified but eventually got at ease to comfortable hold a live snake round my shoulders. You really suit bright colours! 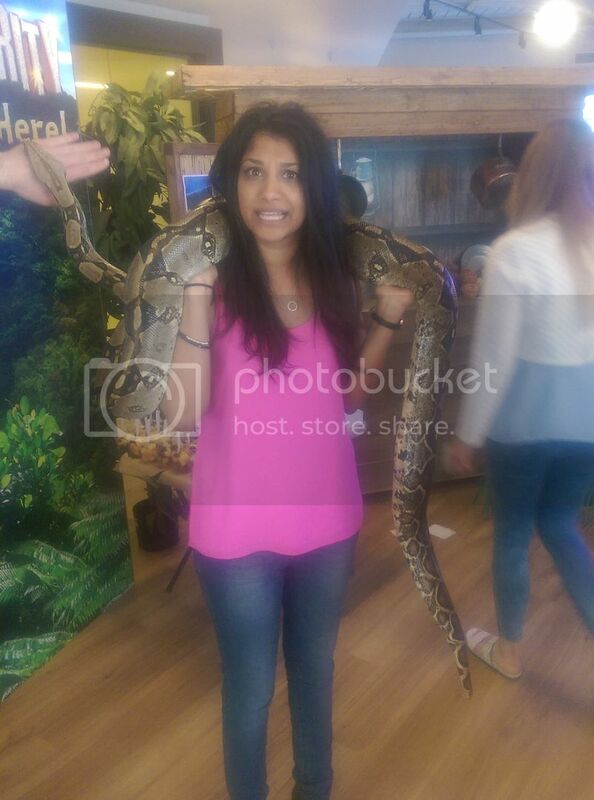 You are much braver than I am though, I wouldn't dare hold a snake!